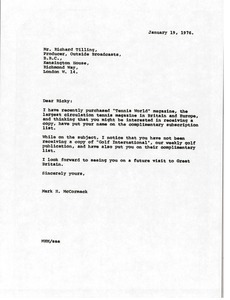 McCormack announces that he has purchased Tennis World magazine and put Tilling on the complimentary subscription list for this magazine and Golf International. 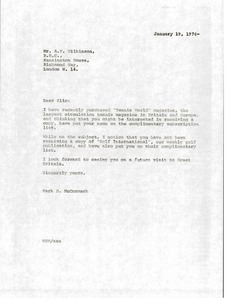 McCormack announces that he has purchased Tennis World magazine and put Wilkinson on the complimentary subscription list for that magazine and Golf International. 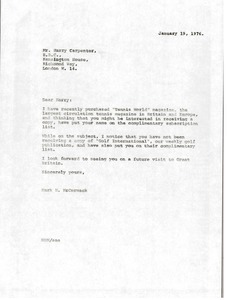 McCormack announces that he has purchased Tennis World magazine and put Carpenter on the complimentary subscription list for this magazine and Golf International.